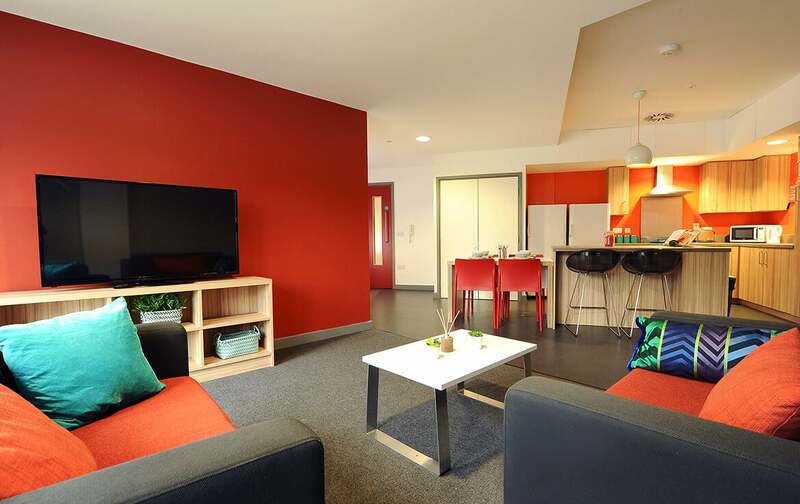 For an authentic start to your student experience, Peel Park Quarter is situated directly on the University of Salford campus and we have an exclusive partnership with UoS to ensure you have the most enjoyable time possible. Our £81million property is available to first year students only so you’ll all be in the same boat, and you’ll have plenty to entertain yourself and your new friends in PPQ. 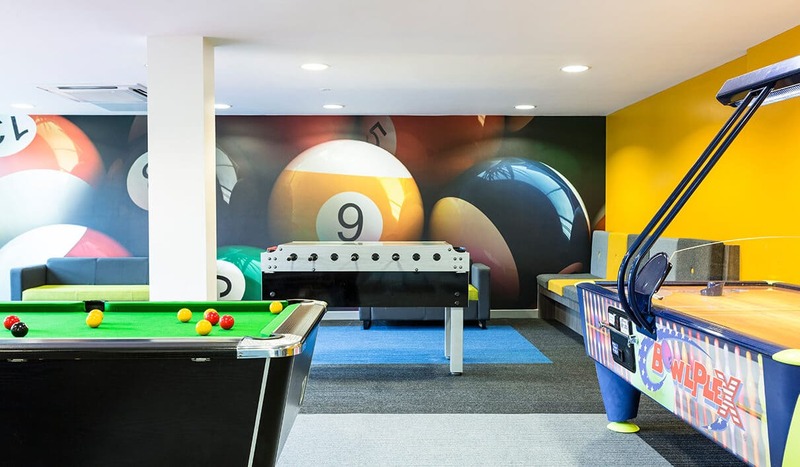 As well as fun residential activities and spacious communal lounges, you’ll find your favourite games consoles, pool tables and study areas alongside a gym and two cinema rooms! In other words, Peel Park Quarter is designed to be a luxury home away from home that is both exciting and freeing but convenient too. After all, too much of a good thing – even independence – can be a little daunting at first. When you’re ready to start exploring your surrounds, you’ll discover student-friendly pubs and restaurants within walking distance, while Salford Quays and Manchester City Centre are just bus rides away. Our en-suite Bronze Rooms in Salford allow you to live in luxury without breaking the bank! With 3/4 bed and plenty of storage, you'll love your new home. Wake up with a smile in one of our Silver en-suite rooms in Salford. Check out our modern rooms with study desk, 3/4 bed & great views, today! Enjoy a sense of freedom in one of our spacious Gold Rooms in Salford. With en-suite, modern furnishings and 3/4 bed, they're sure to be snapped up fast! Our spacious Disabled Access Rooms are adapted for your additional requirements. With en-suite, 3/4 bed and more. Want to live like student royalty? Check out our spacious Platinum Rooms in Salford, with en-suite bathroom & quality furnishings. Book your new home today! If you're after a high-quality student experience in Salford with a modern home to match, then you need one of our Diamond Rooms. Find yours today! What types of accommodation are available in Peel Park Quarter? While you’re studying and socialising, we cover all of your utilities so you won’t have too many new responsibilities all at once! Consider water, electricity and Wi-Fi internet taken care of, as well as contents insurance – so there’s no need to worry excessively about the safety of your possessions. In fact, with 24-hour security/support on site, free bike storage and a great parcel service, we’d say safety and ease are two of our top priorities. A city in Greater Manchester where human activity can be traced back to the Stone Age (seriously), Salford has been home to a real variety of people over the years.